Palliative Care research at the University of Southampton has been further boosted with the appointment of Professor Julia Addington-Hall who joined the team from Kings College, London, where she was a Personal Chair in Palliative Care Research and Policy, and Deputy Head of the Department of Palliative Care and Policy. Professor Addington-Hall, who will be Professor in End of Life Care at the University of Southampton's School of Nursing and Midwifery, is also the Chair of the UK Palliative Care Research Society, and is a member of the Palliative Care Development Group of the National Cancer Research Institute. She is an editor of the journal 'Palliative Medicine' and a member of the editorial board of the 'Journal of Pain and Symptom Control'. She facilitates a Nuffield Trust funded initiative to improve care for the dying in the NHS, and has lectured extensively in the UK and abroad. 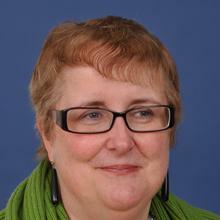 On her appointment to the School of Nursing and Midwifery Professor Addington-Hall said: "I welcome the opportunities joining the University of Southampton offers, in particular the chance to work closely with colleagues in nursing and local palliative care providers to develop and evaluate interventions to improve quality of life at the end of life. "I also expect to learn from their expertise in qualitative research, and hope to play a role in promoting high quality research throughout the School and I look forward to continuing to supervise PhD and Masters' students," she added. Professor Addington-Hall is a social scientist and, since completing her PhD in psychology, has focused on health services research, particularly in the area of palliative care. She has published extensively on the quality of care received by people who die in the UK. In particular she was one of the first researchers to look in depth at the needs of people who die from causes other than cancer. She has vast expertise in survey research (co-leading the Regional Study of Care for the Dying, the largest UK study to date of the last months of life). Her research programme involves a range of quantitative and qualitative research skills, and she co-ordinates the research module of the successful King's College MSc in palliative care. Her current research programmes include palliative care for non-cancer patients - particularly those with heart failure; depression at the end of life; the development and validation of an after-death questionnaire for bereaved people (VOICES); and evaluating health and social care services for people in the last months of life (including a national evaluation of the Department of Health funded education programme in palliative care for district nurses). The School of Nursing and Midwifery is one of the largest providers of nursing and midwifery education in the UK. It provides pre-registration and post-qualifying education to over 5,000 students every year at centres across Hampshire and the Isle of Wight. The University of Southampton is a leading UK teaching and research institution with a global reputation for leading-edge research and scholarship. The University has has over 19,200 students and 4,800 staff and plays an important role in the City of Southampton. Its annual turnover is in the region of £250 million.